This is the entry point to the Customer Area. 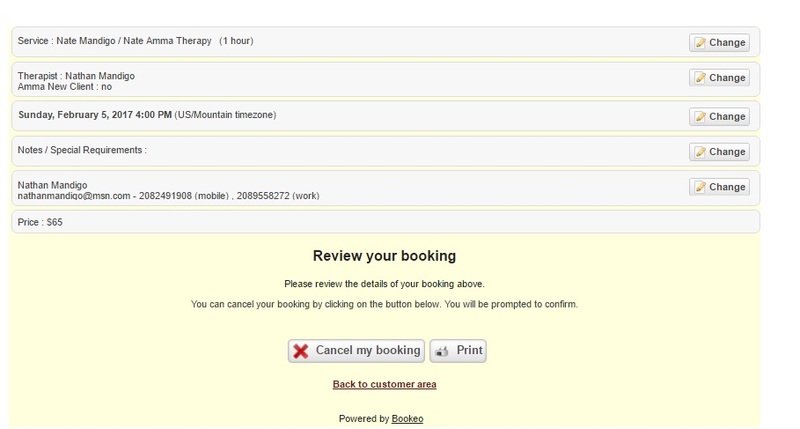 The New Booking button will take you to the start of the booking process. 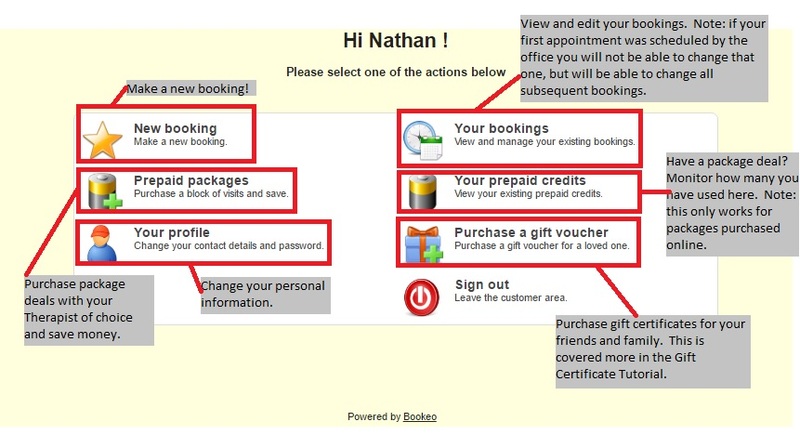 For more information on the booking process please see the tutorial here. 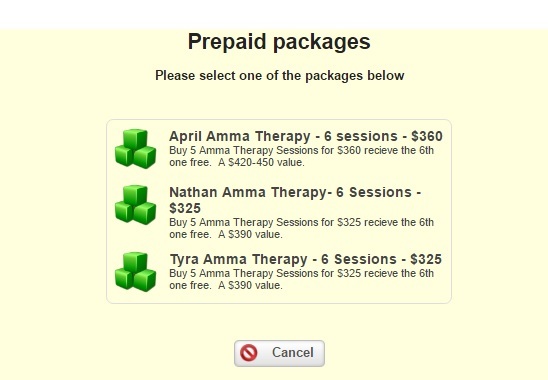 This is where you can buy packages of treatments with your preferred practitioner and save. Change your name, contact phone number, e-mail, or password. Note: if your first appointment was made by the office you will not be able to change it here. Any subsequent appointments made after you have signed in will be visible and able to be modified. Did you purchase a package online? Track how many sessions you have used. Note: This does not reflect packages purchased in the office. This is where you can purchase gift certificates to give to friends and family. If you are unsure of who the recipient would like to see, a generic value gift certificate is available. 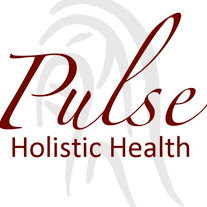 You can also purchase packages for a specific practitioner to give to friends or family. This is where you can select which practitioner you want to purchase a package with. Each package is buy 5 get the 6th one free. If you want to give a package to someone, please see the gift certificate tutorial here (link coming soon). This is where you can see your upcoming bookings and change or them if necessary. You can only change or cancel a booking more than 24 hours prior to the booking. You cannot move the appointment more than 2 months out. This is also where you can review past appointments for your own tracking purposes. As long as it is more than 24 hours prior to your booking time, you can change the details of the booking or cancel the booking.